Below we list upcoming residential retreats sponsored by the Albuquerque Vipassana Sangha. Details below might change. Please check back closer to the retreat for new information and revisions. 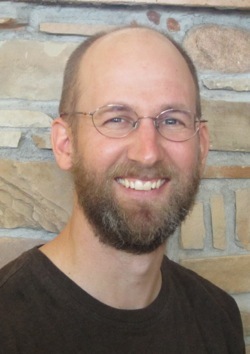 Brian Lesage has practiced Buddhist meditation since 1988 and has taught meditation since 2000. He has studied in the Zen, Theravada and Tibetan schools of Buddhism. He was ordained in the Rinzai Zen tradition in 1996. His training in Vipassana Meditation includes doing extended meditation retreats in Myanmar (Burma), Nepal, and India as well as numerous retreats in the U.S. He leads retreats and teaches meditation courses nationwide. Brian also has a private practice in Somatic Experiencing, which is a naturalistic approach to healing trauma. You can also visit his website for Somatic Experiencing at www.liberatingawareness.com. For info about shorter retreats sponsored by our sangha see Day Retreats and Half Day Retreats. Also see Vipassana Retreats and Residencies in the Region and Neighboring Sanghas and Other Resources for links to information about retreats offered by nearby sanghas. For a record of past retreats in Albuquerque, see Previous Sangha Retreats.